The following message was distributed via email on Nov. 28 to U.S. employees regarding recent developments in new Department of Labor overtime standards set to go into effect Thursday, Dec. 1. Last week, a federal judge ordered a delay in the implementation of the new Department of Labor overtime standards set to go into effect this Thursday, Dec. 1. The judge’s order is part of a case that may determine if these new overtime standards are used at all. 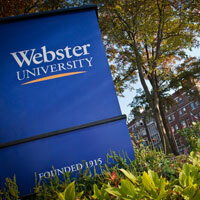 This development raises questions about Webster University’s implementation of the new overtime regulations, and we are writing to communicate the information we have received on this topic. We understand that members of our community have had questions about the new regulations, and we understand the concerns about this recent action by a federal judge and the uncertainty it brings. Since May when the new regulations were announced, we have worked to ready our community for this change. Even prior to May, university leadership and our Human Resources division were engaged with our professional associations, and external legal counsel to understand the intent and impact of the proposed changes. The revised regulations doubled the minimum salary necessary to qualify for overtime exempt status under the Fair Labor Standards Act (FLSA). Because at Webster, employees who have exempt status are paid on a different schedule than non-exempt (hourly) employees, the University moved to implement these changes before Dec. 1. This implementation timeframe was selected because it provided a rare opportunity when salaried and hourly pay schedules were running parallel, on the same pay date. This also meant that employees who were changing from salaried to hourly would be put on a pay schedule that runs one week in arrears. The University moved to make this transition in October for employees in transition to a non-exempt status the maximum time to adjust to these new pay schedules. All changes implemented by the University responded directly to the new federal regulations required to begin on Dec. 1. Given the federal judge’s order that delays the mandatory Dec. 1 implementation of the regulations and potential actions by the courts and the current and incoming administrations, along with the Department of Labor, institutions and businesses across the country are seeking guidance about appropriate next steps. In light of the recommendations we have received recently from our professional associations and expert legal counsel, we currently plan to continue with the changes the University implemented in mid-October until any final regulatory changes are implemented. As this is a potentially rapidly changing situation with dynamic circumstances, we believe this is the most prudent course of action at the moment. We do not anticipate that any further changes will be implemented until the federal courts and the new incoming federal administration provide further clarity on what is required. For a variety of reasons, a handful of employees did not make the transition to these new standards in October. For those employees, the University will not implement any changes until the federal government provides further answers about the overtime regulations maintained by the Fair Labor Standards Act. It is quite possible that we will not know the outcome of these legal issues for many weeks and months. We understand these developments have a direct effect on individuals in our community and we are determined to minimize any negative impact caused by this uncertainty, due to the legal review process now underway. It is our intent to pursue a course of action that causes the least disruption during this transition period as this case is reviewed. We will continue to monitor this dynamic situation in the weeks and months ahead, and we will keep you apprised of new developments. If you have further questions, please submit them to: humanresources@webster.edu. When submitting your inquiry, please include the specific details of your question and your work phone number. A member of the human resources team will respond to your inquiry.